If you are setting up temporary fencing with chain link panels or other pipe panels that have 1-3/8" pipe frames, then these are the clamps you need. These panel clamps are also used as "Kennel clamps" for building a chain link dog kennel (or chain link dog run). Sturdy and easy to use. 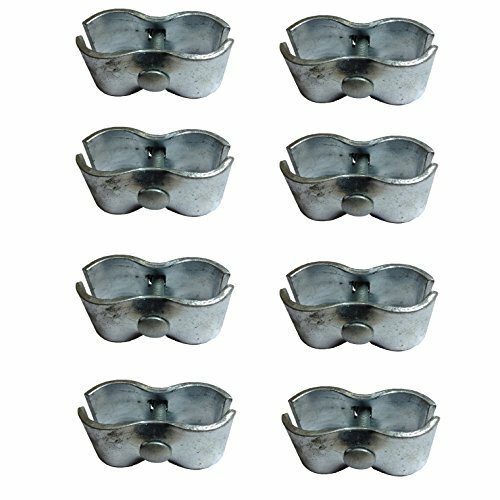 These clamps fit a chain link fence pipe 1-3/8". Includes carriage bolt and nut. Clamps, bolts, and nuts = galvanized. If you have any questions about this product by Nationwide Industries, contact us by completing and submitting the form below. If you are looking for a specif part number, please include it with your message.